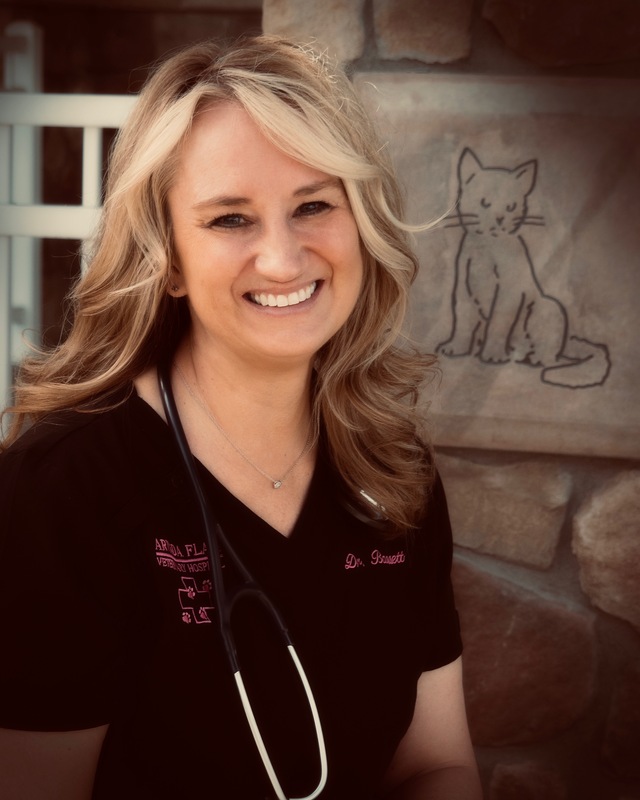 The owner of Arvada Flats Veterinary Hospital, Dr. Gretchen Bassett, grew up within a few miles of the clinic and attended Jefferson County Schools throughout her childhood. Gretchen did her under graduate work at the University of Colorado, Boulder and her Veterinary studies at Colorado State University in Ft. Collins. She enjoys owning a business in the community she grew up in. Gretchen feels blessed to own a business that serves such an outstanding, pet-loving community. She combines her passion with a purpose through her work at Arvada Flats Veterinary Hospital.Dr. Bassett has a special interest in senior pet medicine. She enjoys finding affordable ways to improve the quality of life in her patients as they age. Her senior pet visits help our clientele work with a veterinarian who listens, understands and brainstorms with them to find solutions that work. Dr. Bassett also has a special interest in critical care and chronic conditions. She enjoys working with pet owners who have pets with health concerns such as cardiovascular disease, diabetes, thyroid concerns, arthritis, etc… Quality of life for our patients is important to Dr. Bassett and her entire team. Dr. Bassett and her husband, Todd Bassett, enjoy time with their two children and their extended families. They can often be found watching soccer matches or walking their two large ‘diva' dogs, Lucy and Beatrice! In her down time, she also enjoys reading, hiking, skiing and is a definite foodie.